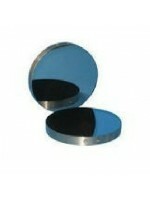 The axis mirror is mounted at the reflecting point and just prior to each axis. 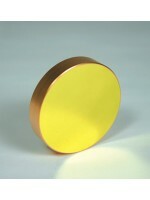 The mirrors sold here are sized for older Rabbit laser machines and have the following specifications: Axis Mirror: $55 (CO2MIR-20-GOLD) (Does not include mounting hardware) 20mm Diameter ~4mm Edge Thickness Core Material: Silicon Wafer Coating: Gold &n.. The axis mirror is mounted at the reflecting point and just prior to each axis. The mirrors sold here are sized for Rabbit laser machines and have the following specifications: Axis Mirror: $55 (CO2MIR-25-GOLD) (Does not include mounting hardware) 25mm Diameter ~4mm Edge Thickness Core Material: Silicon Wafer Coating: Gold &n..
A Red-Dot Pointer would normally be ordered with the machine and installed at the factory. A pointer can be added to any machine by the customer. 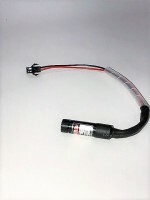 The pointer is mounted as an addition to the focal assembly. The pointer is non-collinear to the CO2 beam. 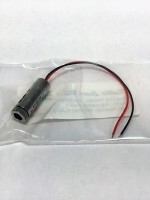 ..
Red-Dot Laser Pointer Module: 12x35.5mm, 5VDC A Red-Dot Pointer would normally be ordered with the machine and installed at the factory. A pointer can be added to any machine by the customer. The pointer is mounted as an addition to the focal assembly. The pointer is non-collinear to the CO2 beam. 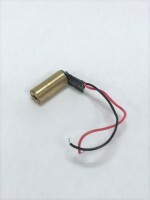 ..
Red-Dot Laser Pointer Module: 10x22mm, 5VDC A Red-Dot Pointer would normally be ordered with the machine and installed at the factory. A pointer can be added to any machine by the customer. The pointer is mounted as an addition to the focal assembly. The pointer is non-collinear to the CO2 beam. 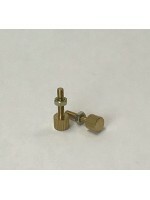 ..
Brass Mirror Screw Size: Small .. The axis mirror is mounted at the reflecting point and just prior to each axis. 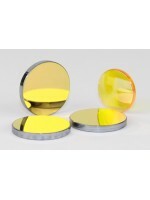 The mirrors sold here are sized for Rabbit laser machines and have the following specifications: Axis Mirror: $35 (CO2MIR-25-MOLY) (Does not include mounting hardware) 25mm Diameter ~4mm Edge Thickness Coating: Molybnium For 10.6um CO2 Wavelength ..